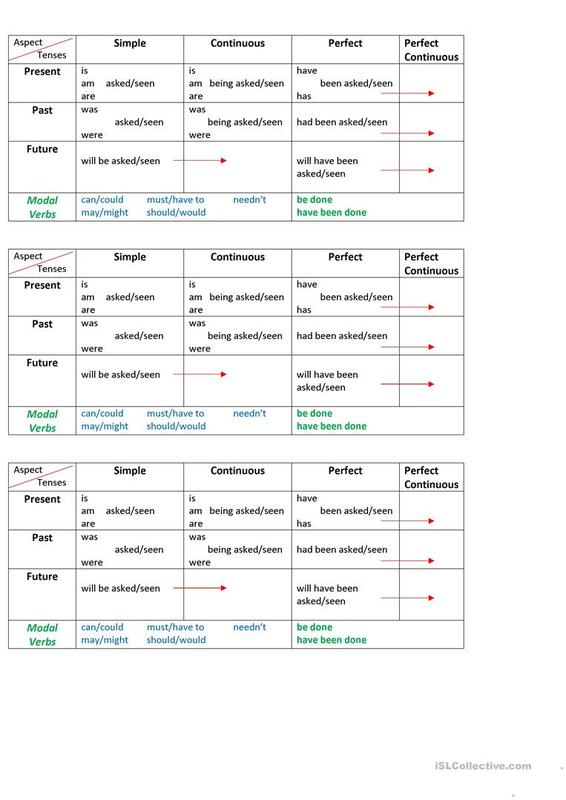 A short form-building table on the passive voice. P.S. Actually there's only one table, it is just repeated 2 times. This downloadable handout is meant for high school students, elementary school students and adults at Pre-intermediate (A2), Intermediate (B1) and Upper-intermediate (B2) level. It is great for practising Passive voice or active voice in English, and is useful for improving your students' Spelling and Reading skills. paradise092 is from/lives in Russia and has been a member of iSLCollective since 2013-12-24 22:02:05. paradise092 last logged in on 2019-04-21 16:12:16, and has shared 60 resources on iSLCollective so far.